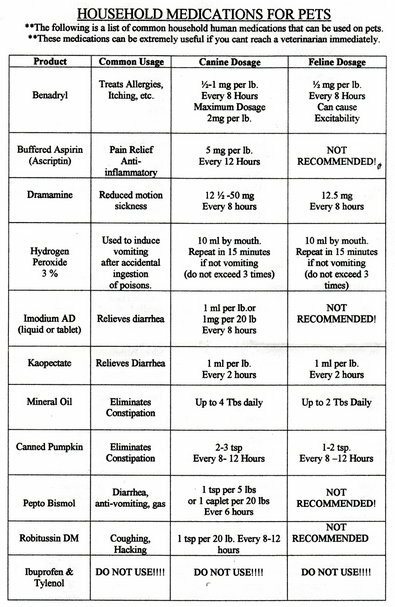 Use the chart below to determine if your OTC medication is dog (and cat) safe and how much should be administered. Always check with your veterinarian that understands your pet’s health and history before giving any medications. Additionally, be certain that you’re using only the medication listed, not other ingredients. Many antihistamines, for example, include added decongestants that can be lethal for your dog. Check labels very carefully and when in doubt, don’t use.